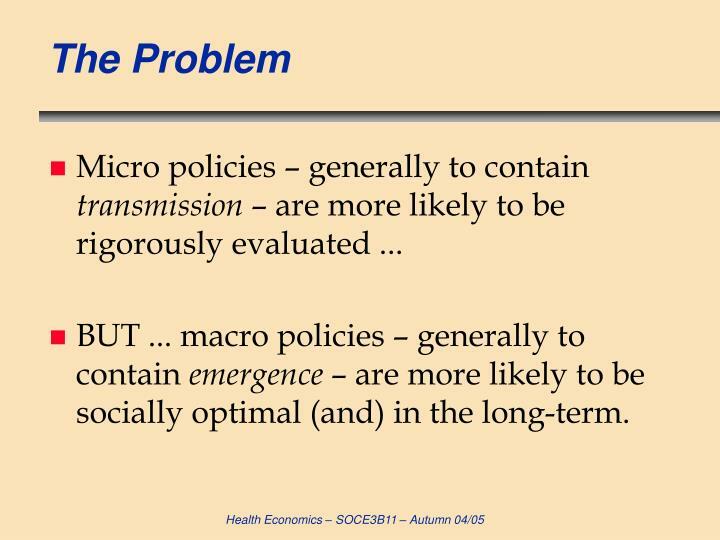 BUT ... macro policies – generally to contain emergence – are more likely to be socially optimal (and) in the long-term. 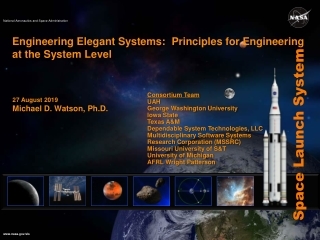 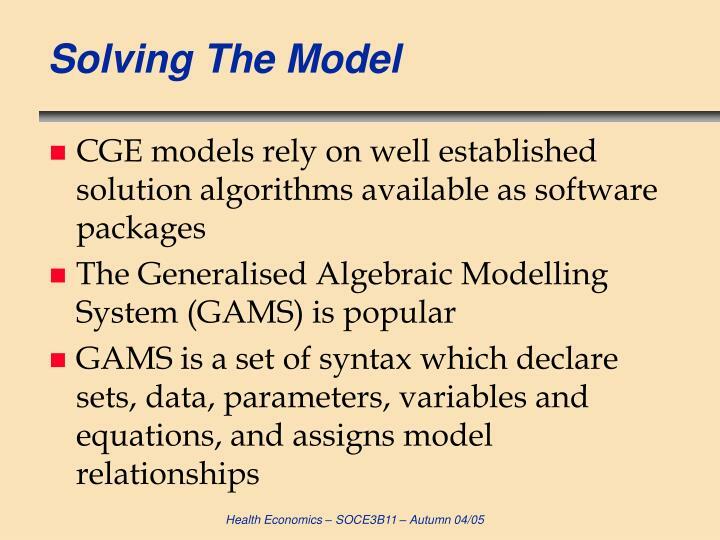 An alternative is macro analysis – CGE is most ‘popular’ (e.g. 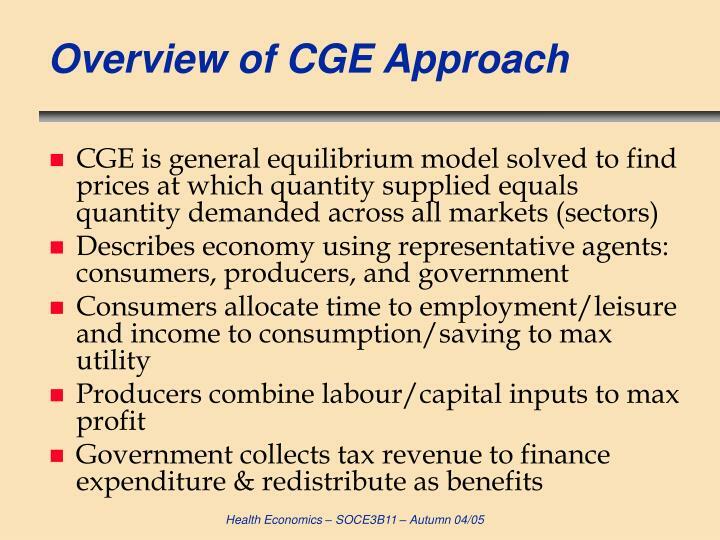 energy, environment, taxation, economic development, international trade, agriculture, trade reform etc). 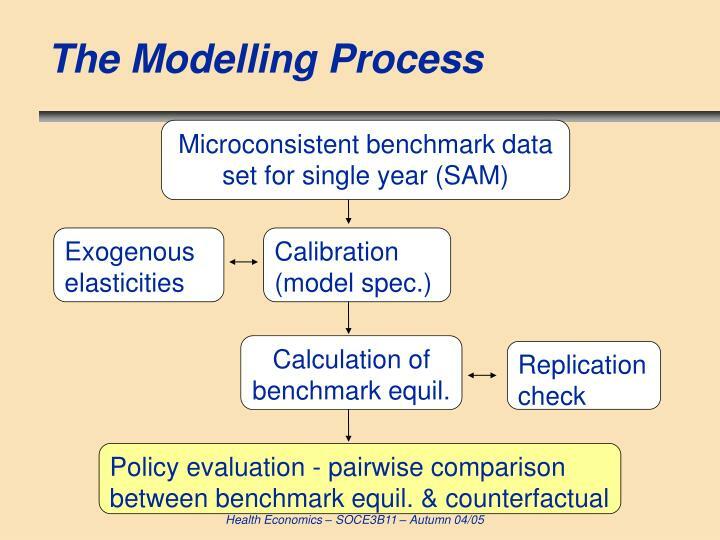 Policy evaluation - pairwise comparison between counterfactual & benchmark equil. 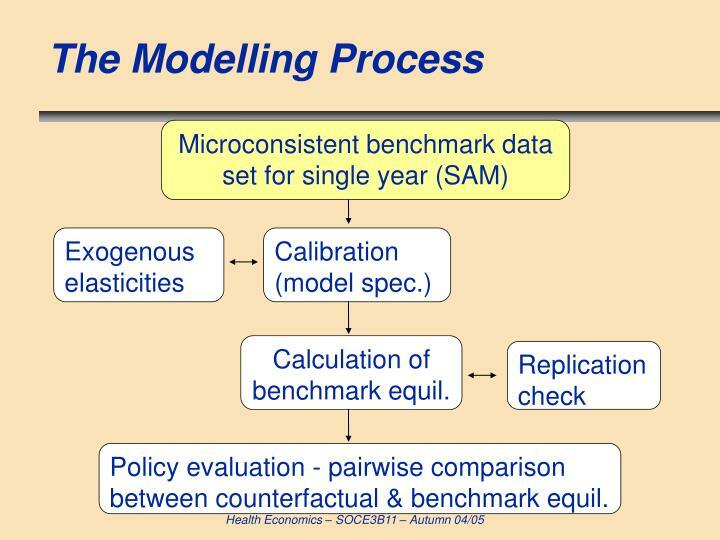 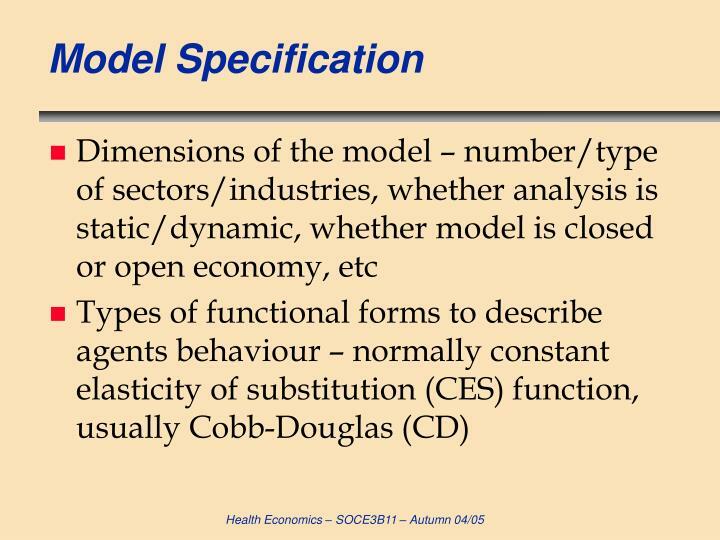 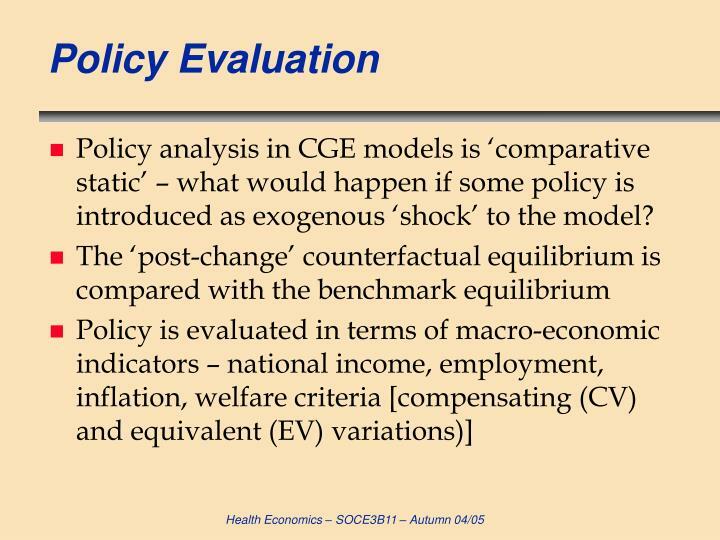 Policy analysis in CGE models is ‘comparative static’ – what would happen if some policy is introduced as exogenous ‘shock’ to the model? 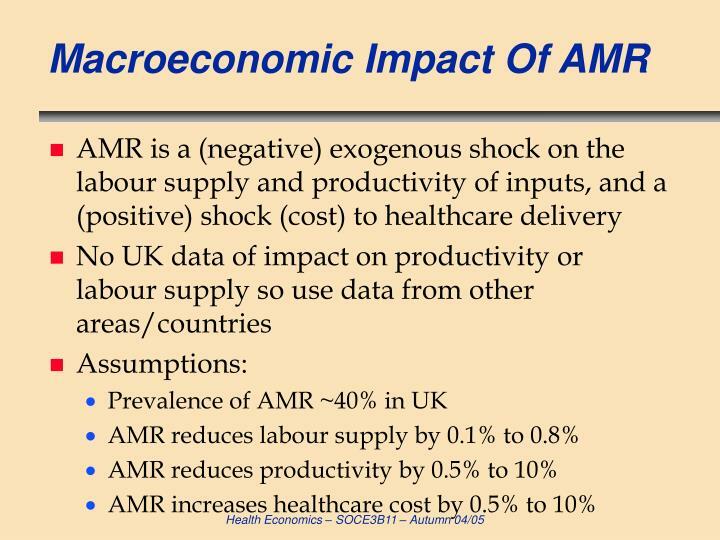 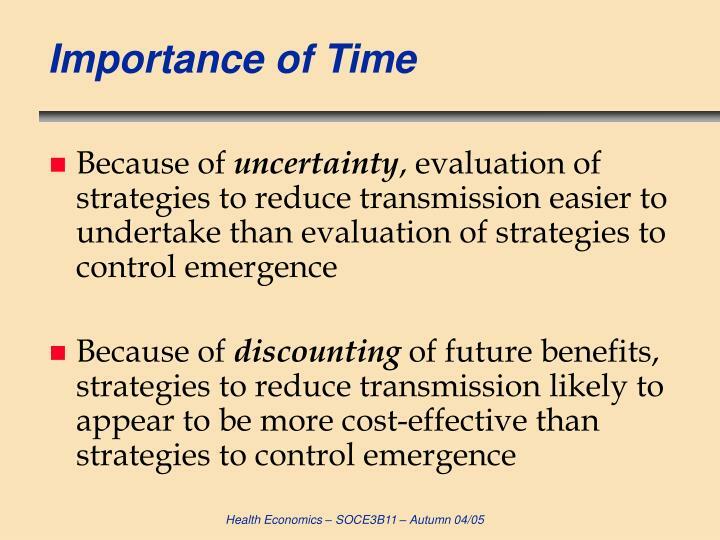 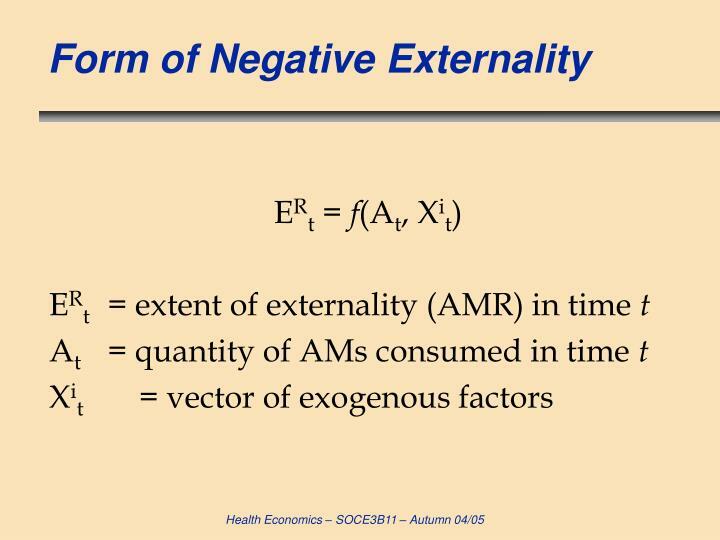 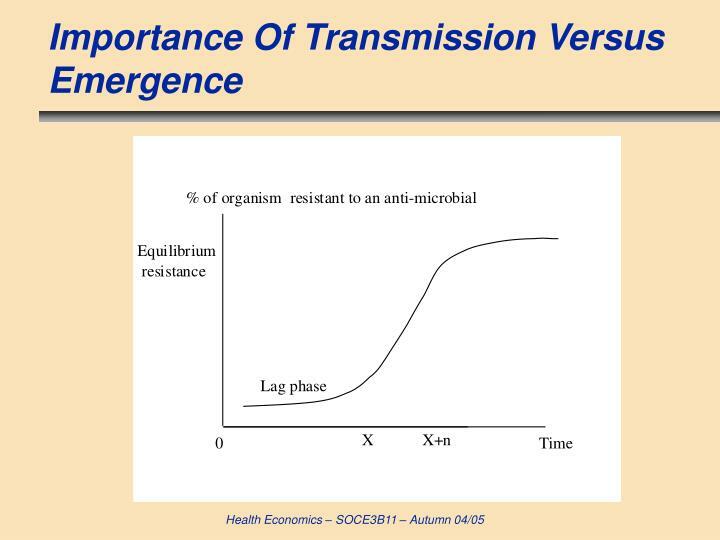 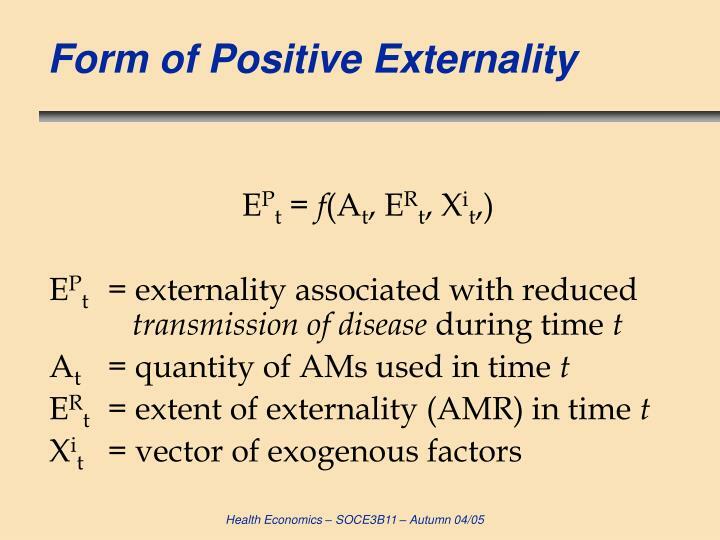 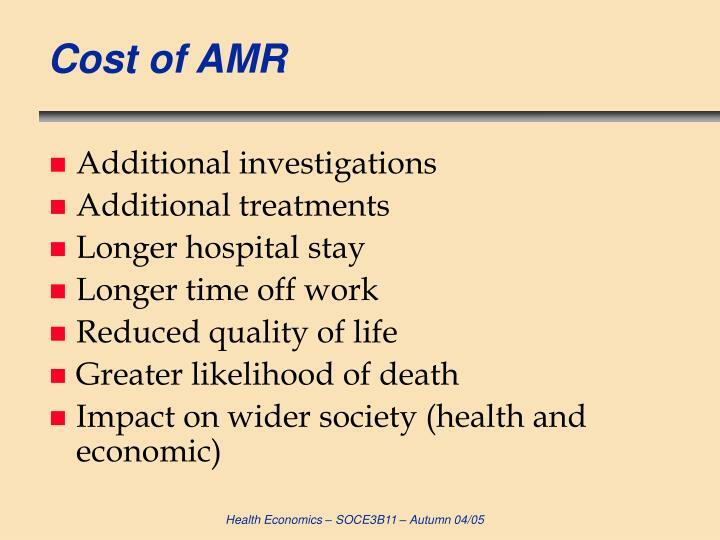 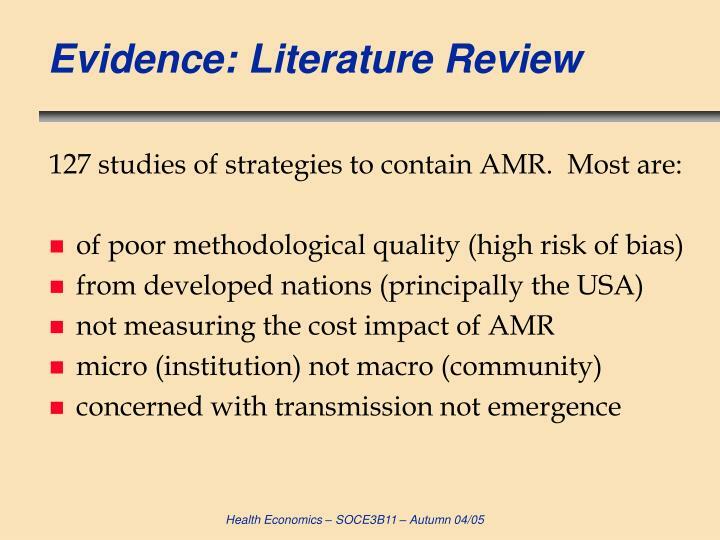 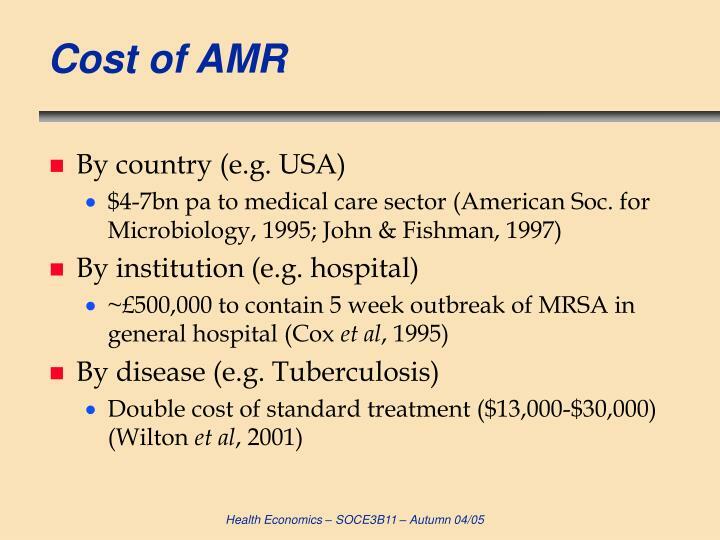 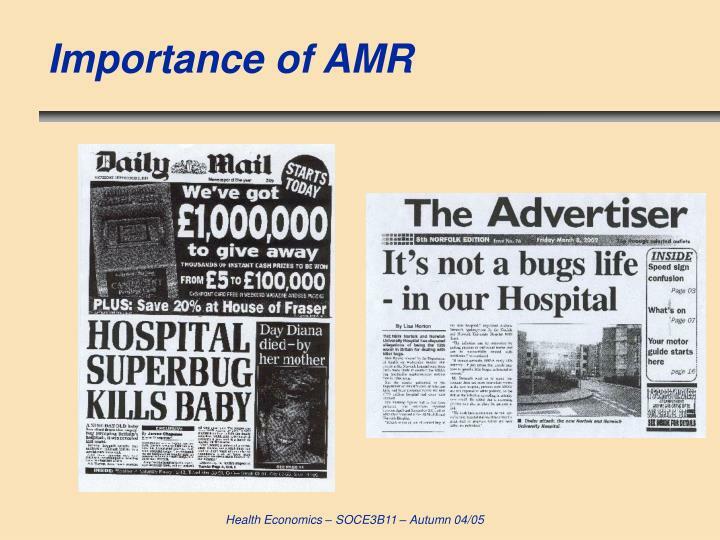 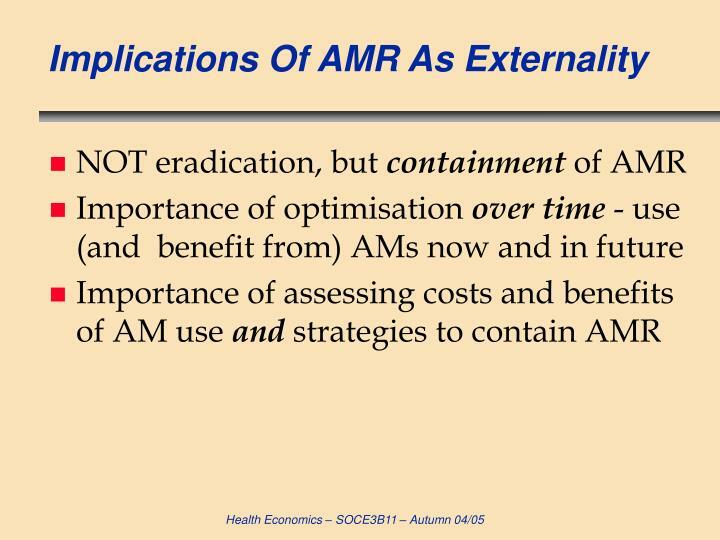 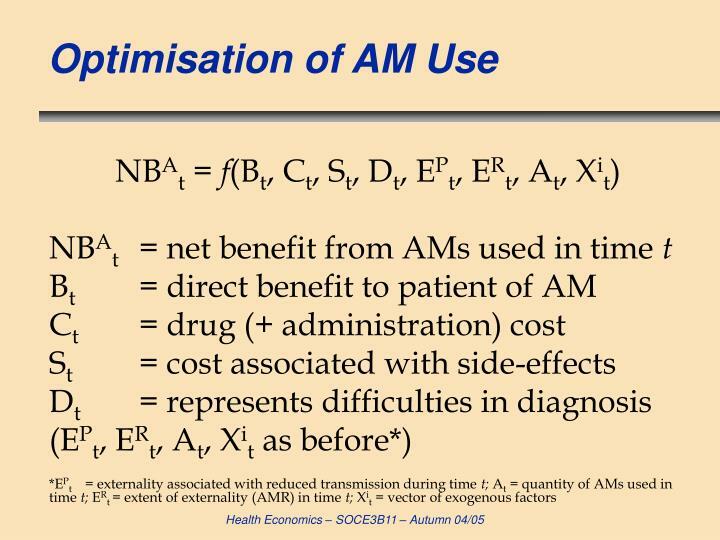 Coast J, Smith RD, Miller MR. Superbugs: should antimicrobial resistance be included as a cost in economic evaluation? Health Economics, 1996; 5: 217-226. 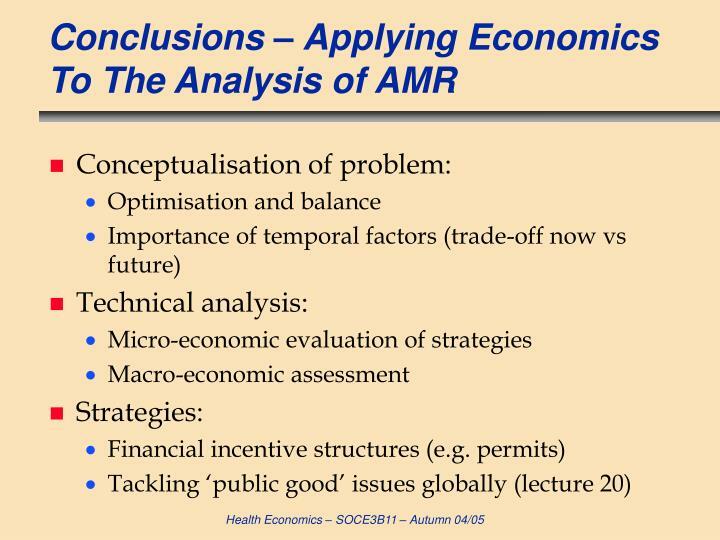 Coast J, Smith RD, Karcher AM, Wilton P, Millar MR. Superbugs II: How should economic evaluation be conducted for interventions which aim to reduce antimicrobial resistance? 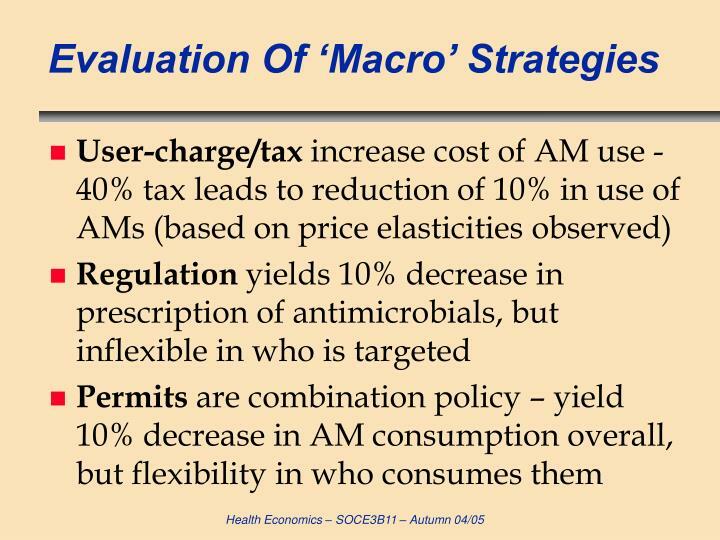 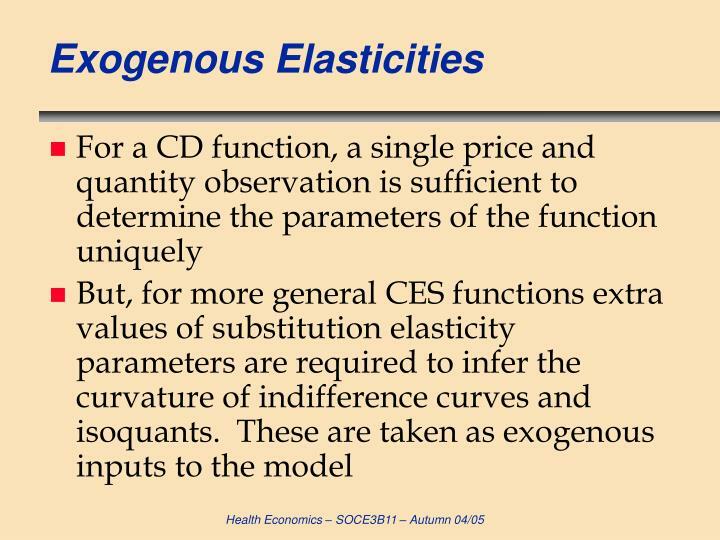 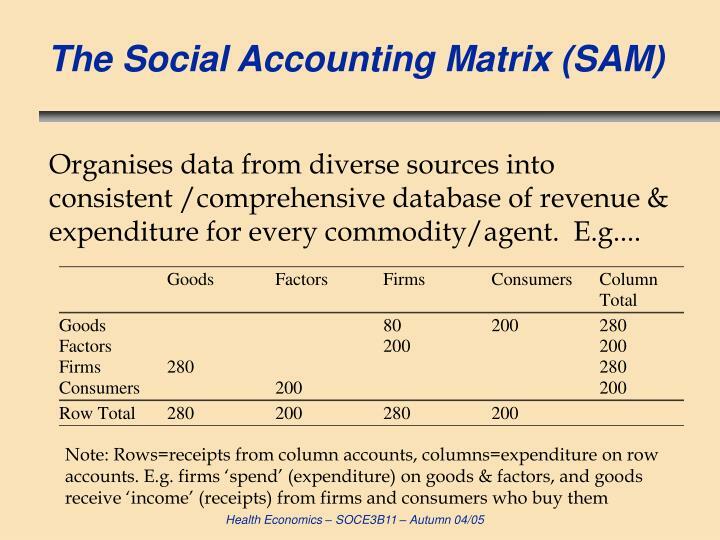 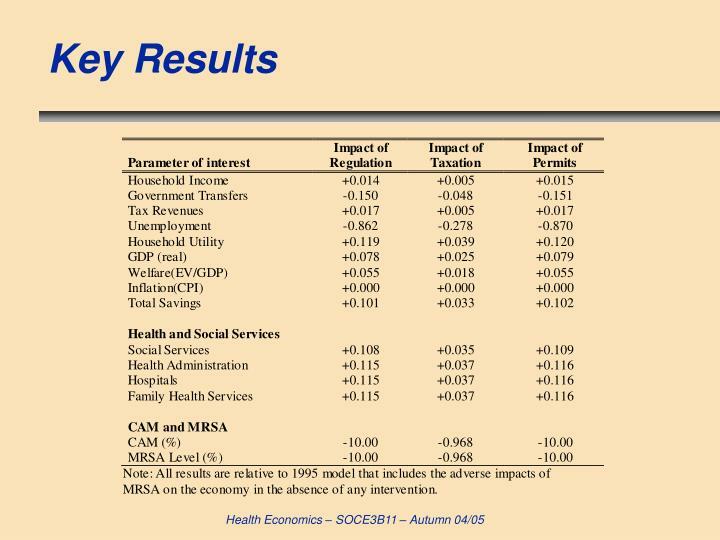 Health Economics, 2002; 11(7): 637-647. 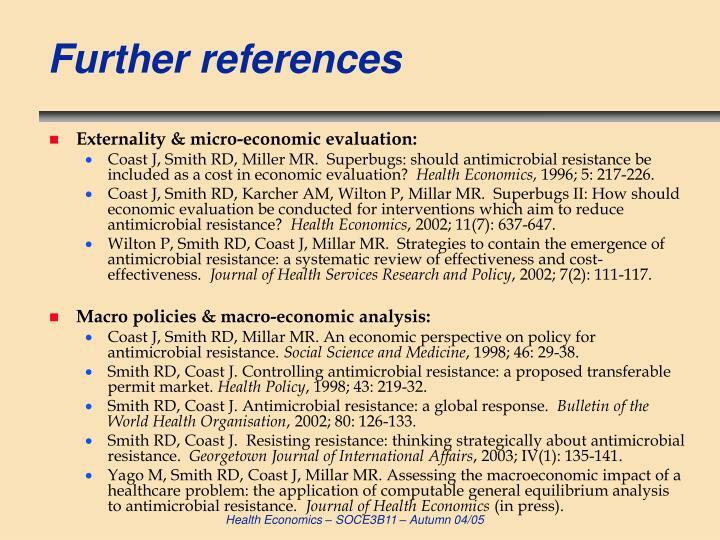 Wilton P, Smith RD, Coast J, Millar MR. Strategies to contain the emergence of antimicrobial resistance: a systematic review of effectiveness and cost-effectiveness. 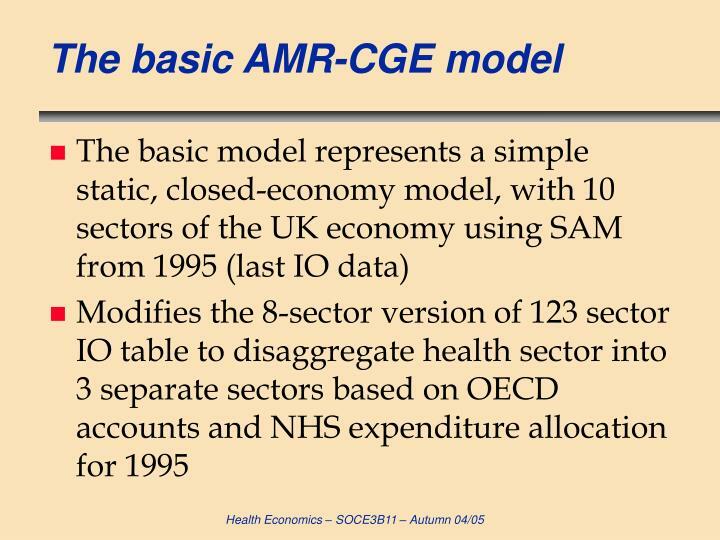 Journal of Health Services Research and Policy, 2002; 7(2): 111-117. 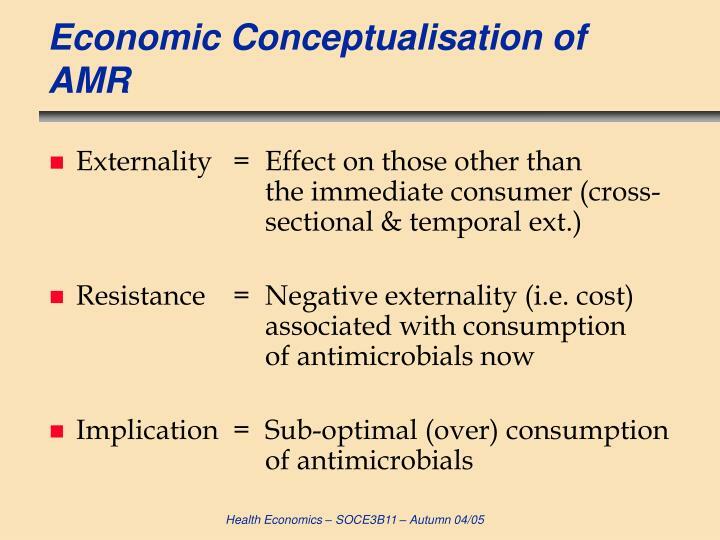 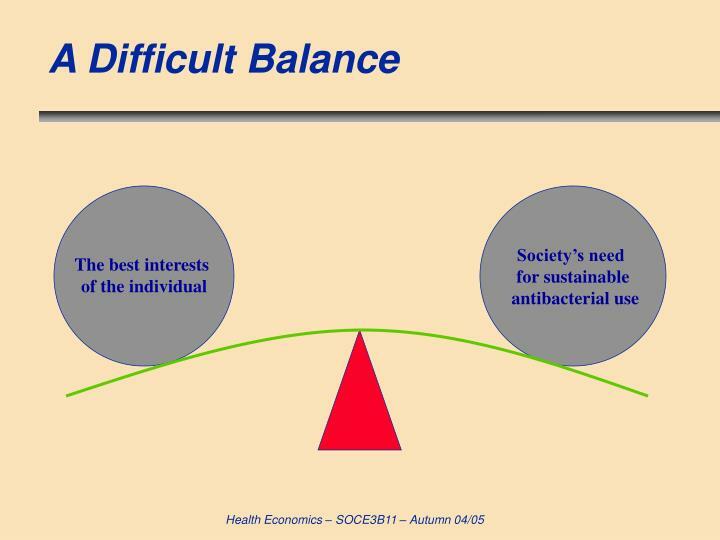 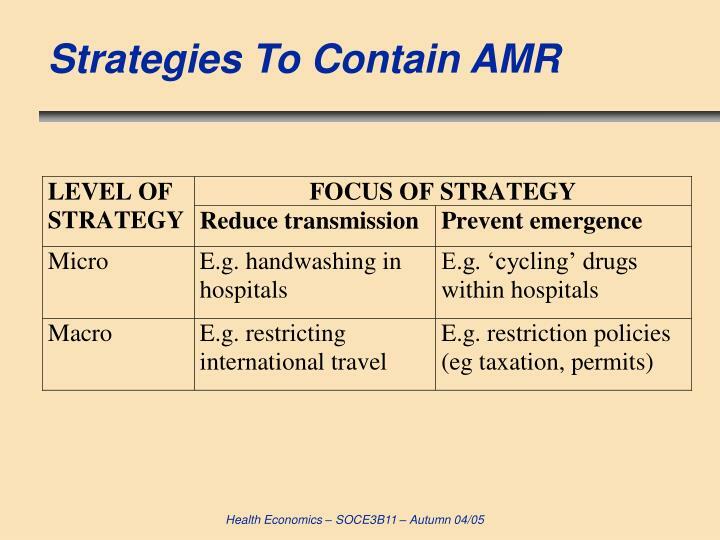 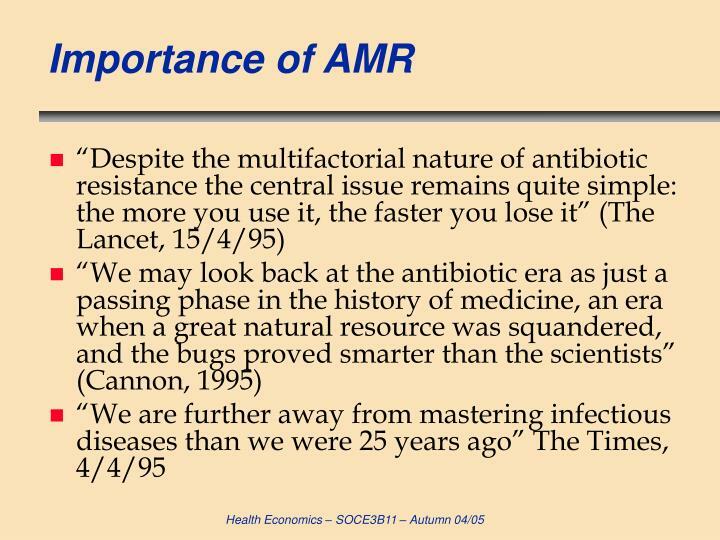 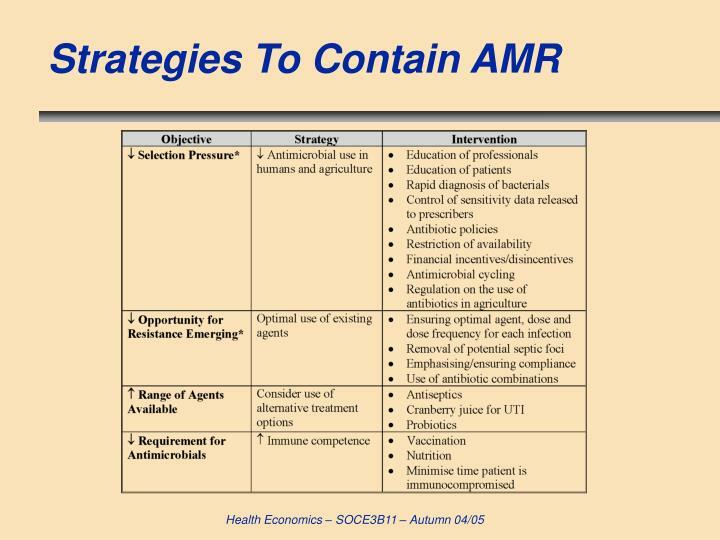 Coast J, Smith RD, Millar MR. An economic perspective on policy for antimicrobial resistance. 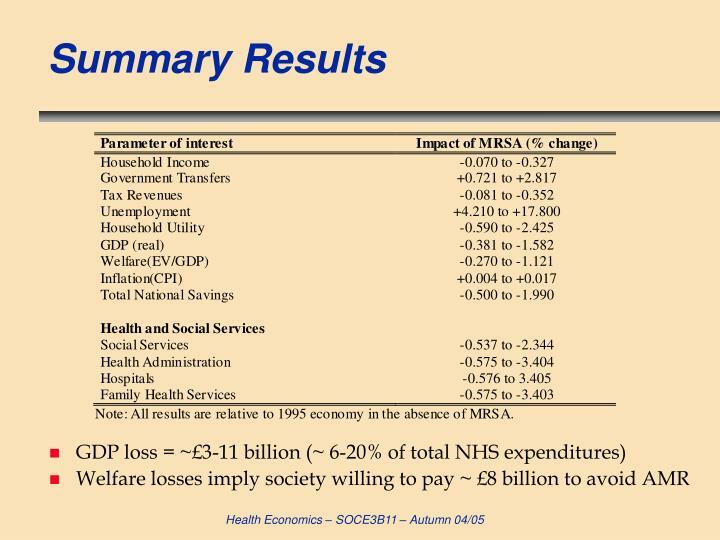 Social Science and Medicine, 1998; 46: 29-38. 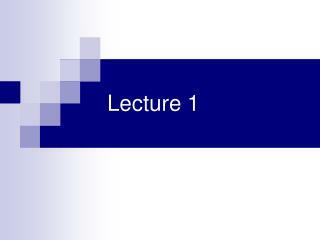 Smith RD, Coast J. 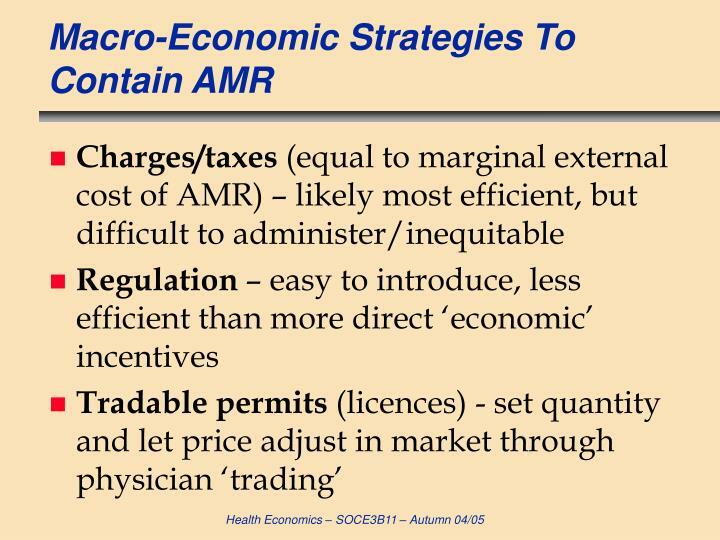 Controlling antimicrobial resistance: a proposed transferable permit market. 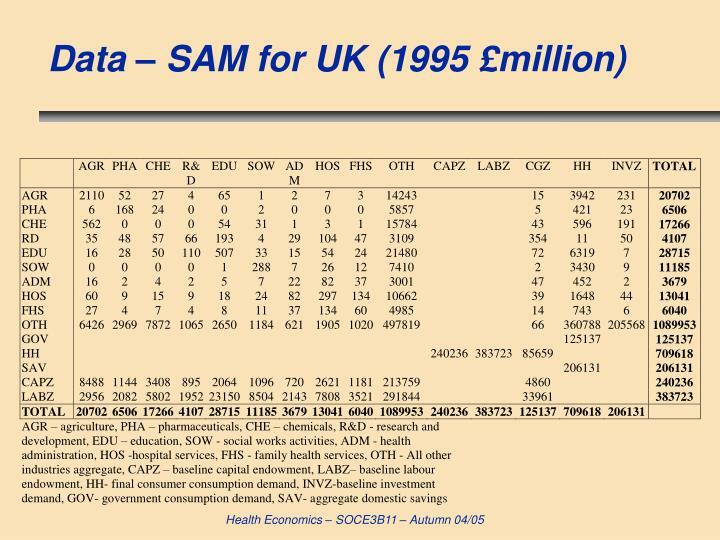 Health Policy, 1998; 43: 219-32. 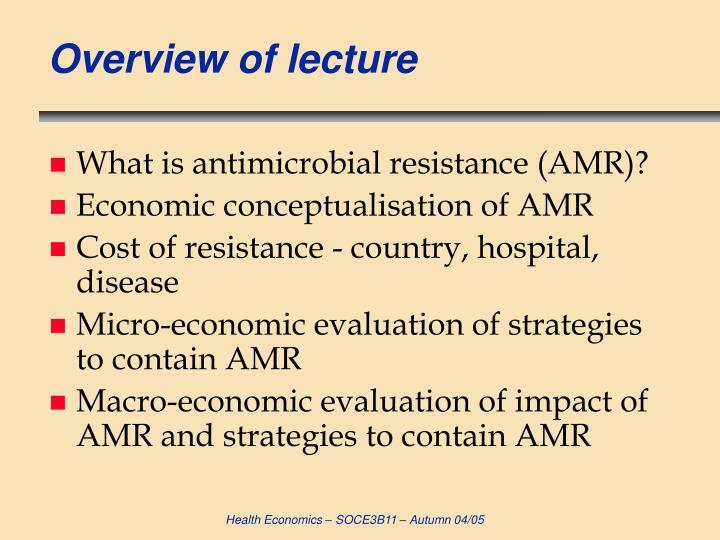 Smith RD, Coast J. Antimicrobial resistance: a global response. 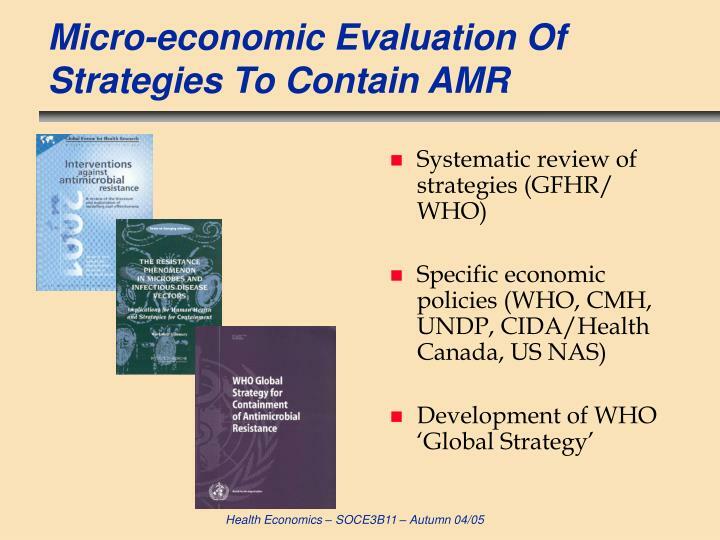 Bulletin of the World Health Organisation, 2002; 80: 126-133. 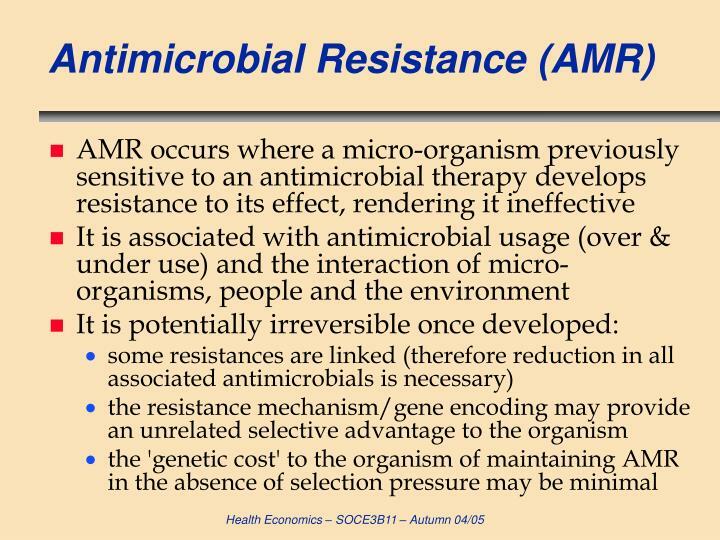 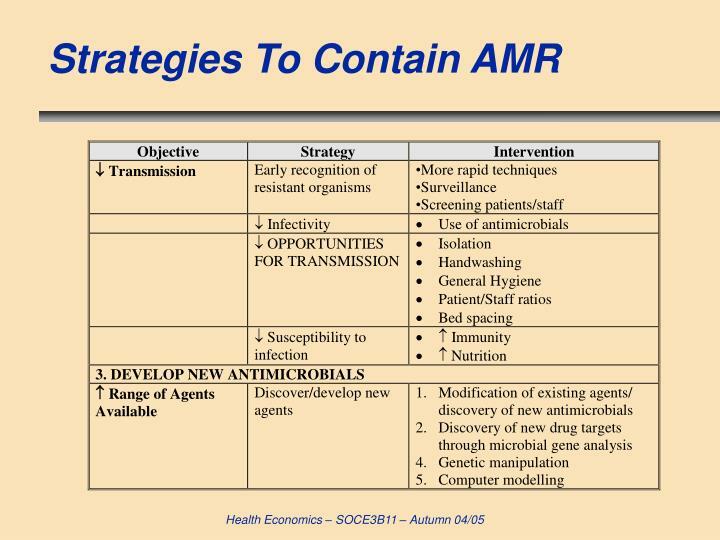 Smith RD, Coast J. Resisting resistance: thinking strategically about antimicrobial resistance. 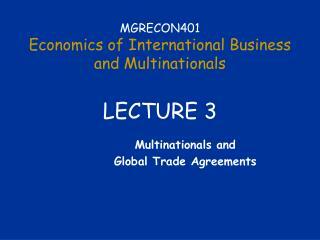 Georgetown Journal of International Affairs, 2003; IV(1): 135-141. 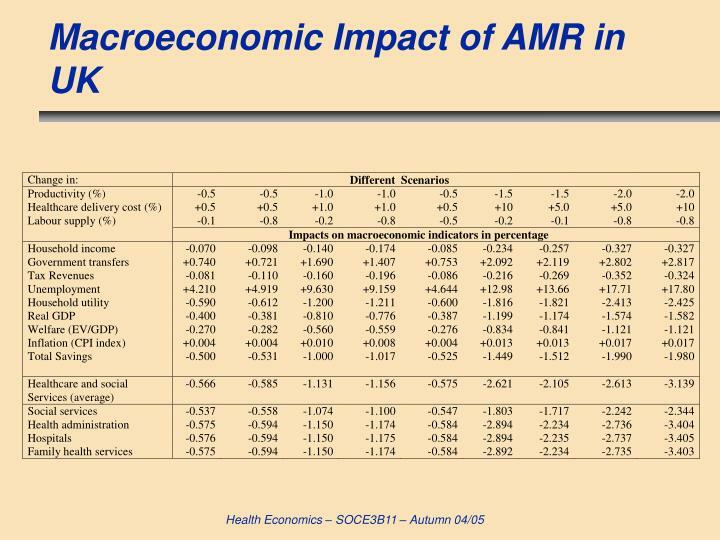 Yago M, Smith RD, Coast J, Millar MR. Assessing the macroeconomic impact of a healthcare problem: the application of computable general equilibrium analysis to antimicrobial resistance. 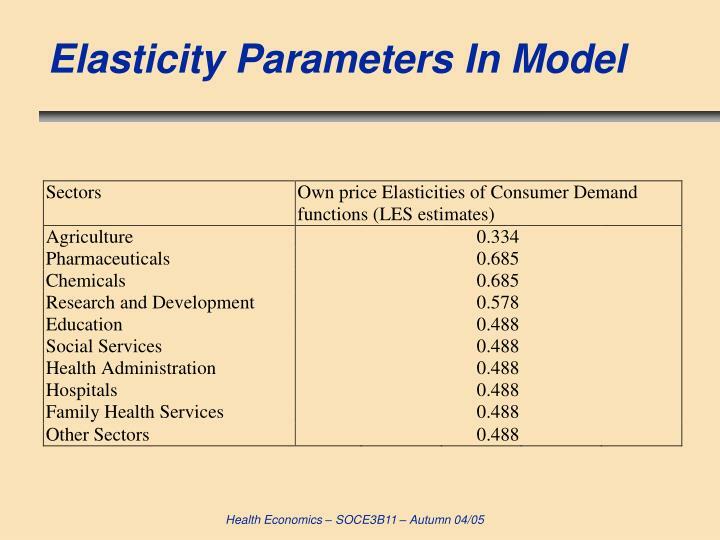 Journal of Health Economics (in press). 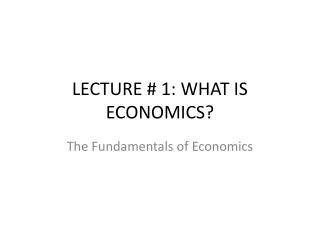 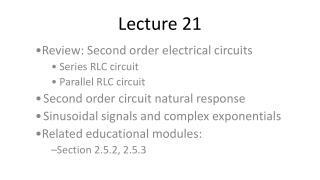 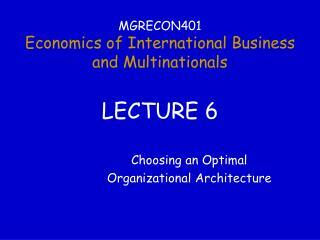 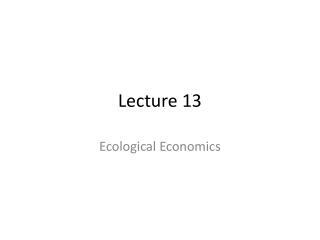 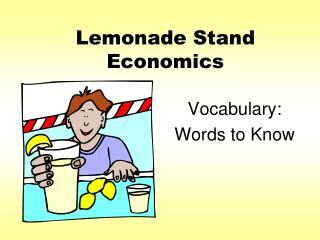 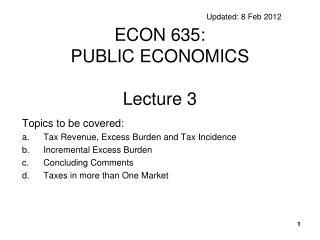 MGRECON401 Economics of International Business and Multinationals LECTURE 4 -. 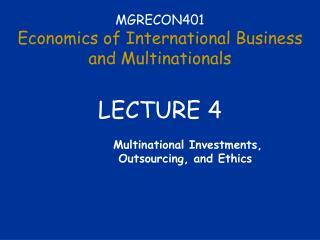 multinational investments, outsourcing, and ethics. 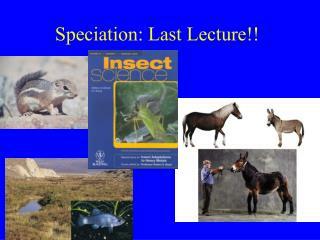 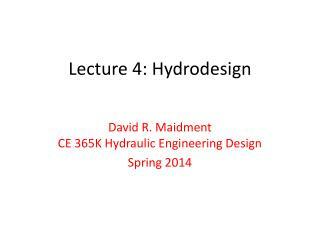 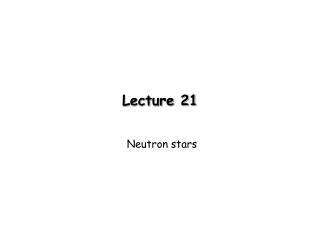 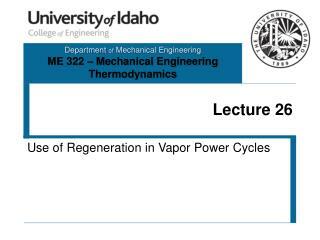 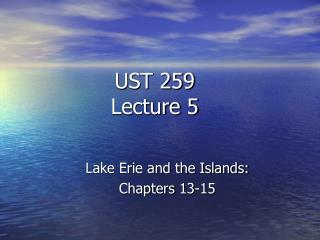 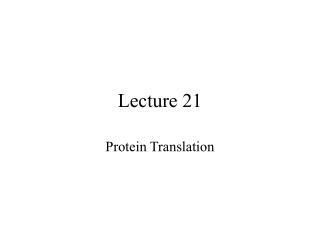 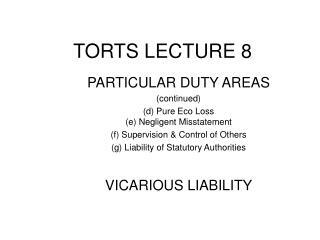 lecture focus. 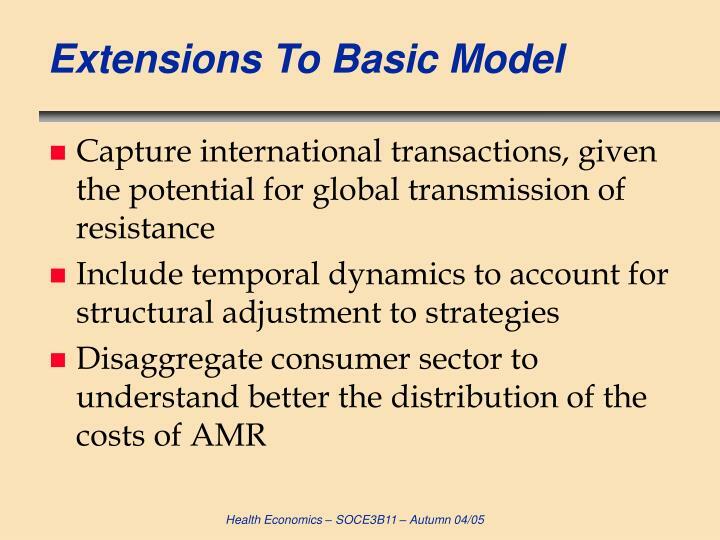 what are the trends in fdi? 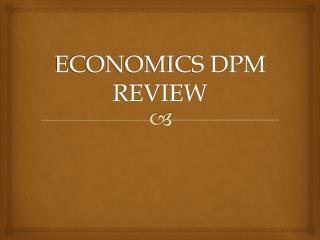 what determines the choice between fdi, exporting, and licensing? 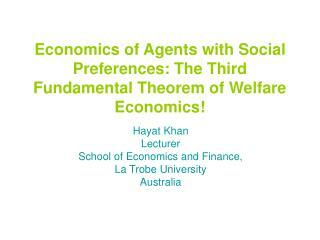 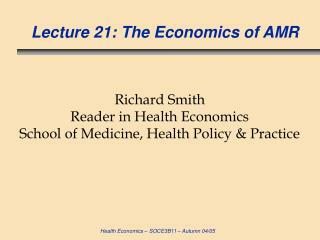 Economics of the health sector: Introduction -. 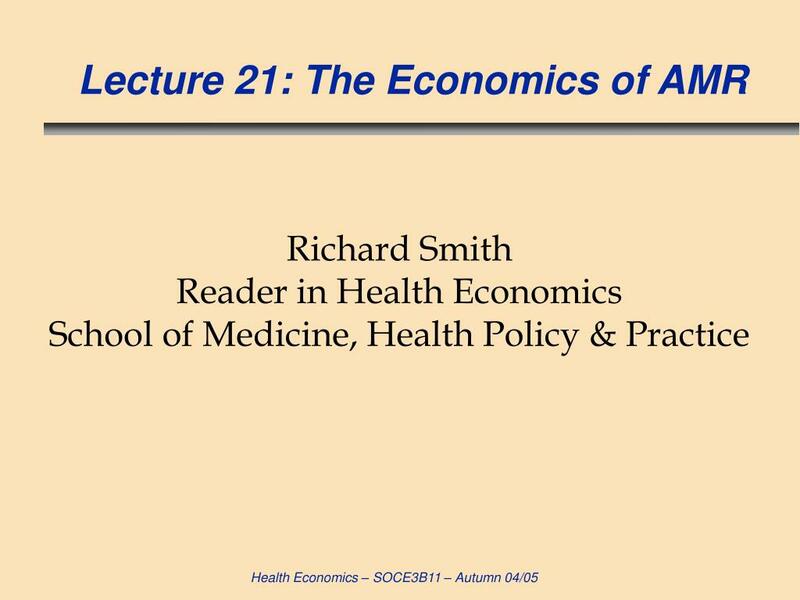 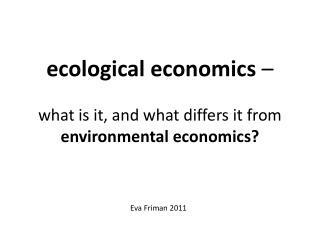 ?why does economics deal with health? 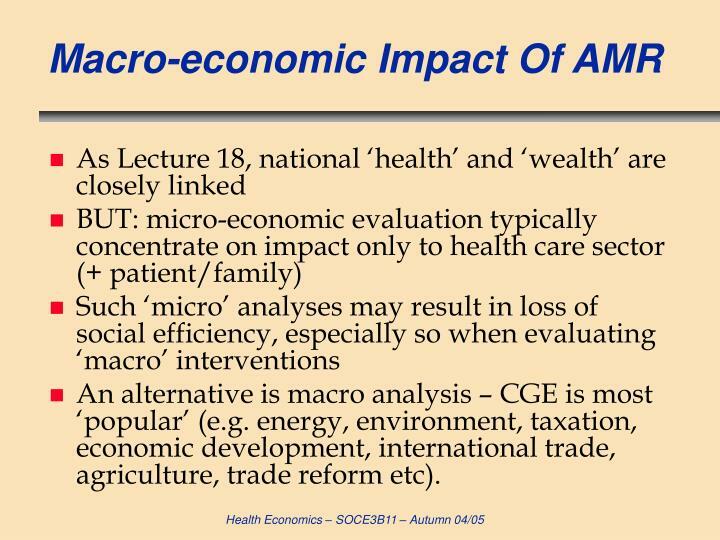 health care as an economic commoditywhich are the justifications for a public intervention in the health sector? 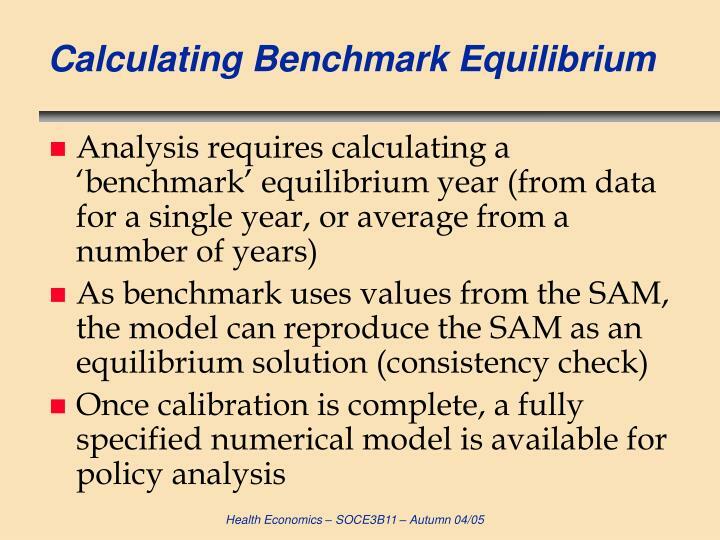 efficiency equity. 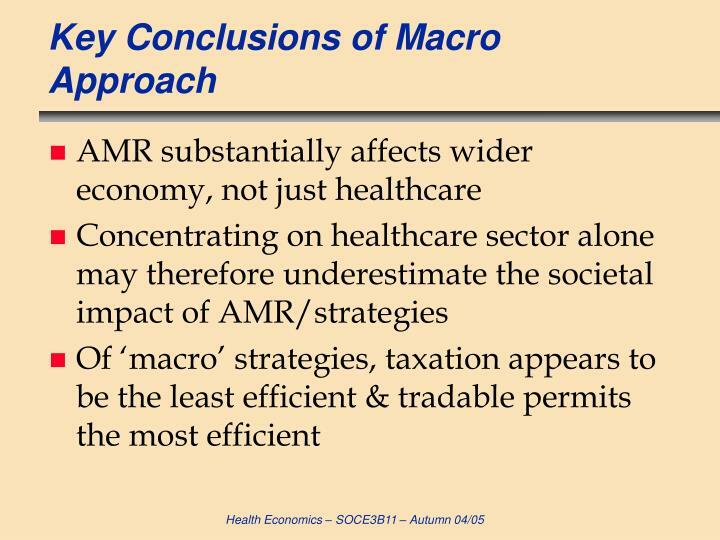 economic approaches to health.